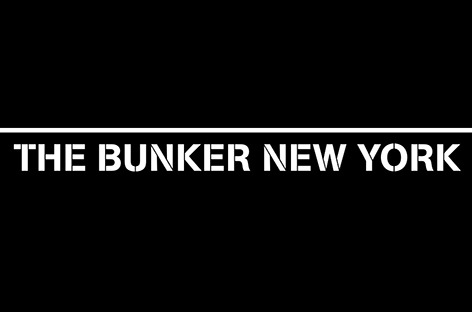 The Bunker NY is a powerhouse techno label emerging from the most recognisable party series and legal raves on the East Coast. Some call it an institution and it has surely become a synonym for eclectic techno thanks to the daring but quirky selections of founder Bryan Kasenic. We are more than curious to hear what he has recorded exclusively for our MNMT label showcase mixes and to learn what The Bunker is up to during their absolute peak of releasing established and newly signed artists. 1. The Bunker NY has just turned 16 this January. Congratulations for running one of the most influential techno parties on the East Coast for so long, where did you celebrate? The party has done a good amount of moving around from venue to venue in recent years. Generally the anniversary parties are quite well attended, so we celebrated in Elsewhere, the largest available venue to us right now. 2. The music environment has dramatically changed since your debut at subTonic back in 2003, but what is in the core of your culture that still remains and feels the same for The Bunker community attending your events? Is it the art of maintaining an outlaw vibe in a legal space and how do you make it happen? While I’ve been involved in quite a few events in illegal venues in NYC in the past, The Bunker itself has always happened in legal, licensed venues. With the high profile of The Bunker events, it would be nearly impossible and extremely risky to try to pull it off in an outlaw space. The plan for awhile now was to move most of the events to Market Hotel, which was once an outlaw space, but is now fully licensed while retaining a more raw look and vibe, so it is a pretty perfect match. It took a few years after a false start to get things up and running there, and I’m glad that wait is finally over. In our very long history of providing proper sound, great music, and killer vibe keeps people supporting us. Of course things change and grow over the years as we’ve moved from venue to venue, but I think there is something special we’ve maintained from the start. 3. The anniversary party was headlined by Function – a Berghain resident, and you also had Mareena playing – another Berlin based artist, hosting quarterly club nights at Tresor. Bridging the worlds of European and US techno scenes seems pivotal for your vision since the very beginning. What have been some of the most cherished and important connections you made along the way forming the sound of The Bunker NY? Yes, the party has always been a nice mix of our American resident DJs and plenty of guests visiting from Europe who we admire. We’ve also hosted a ton of guests from America as well of course. I would say our deepest connections with artists from outside of New York has been reflected in the label. Releases from Voices From The Lake, Atom™, Marco Shuttle, rEAGENZ and Wata Igarashi all came out of friendships that developed from them playing our parties and spending time in New York at my house. Also, initially through my resident Derek Plaslaiko’s connection to Detroit, I met future residents Mike Servito and Patrick Russell, and also Carlos Souffront, Erika and BMG of Interdimensional Transmissions. Our connection to I.T. over the years is very close to my heart. We present the No Way Back party together in Detroit during Movement every year, and share a ton of label artists and guest artists. 4. The label was founded in 2013 after a decade of successfully running and growing the parties. Did you have a specific idea of the sound you want to cultivate with the first releases? How has this developed to the present moment and what boundaries are you looking forward to pushing with the EPs you release this year? The motivation for the label really came from being surrounded by a lot of amazing artists in New York who came to The Bunker and were making great music that they could not find a home for. So the idea has always been to release music by people who were connected to The Bunker somehow. Some releases were established artists who played at The Bunker, but many releases came from people who were attending the party very regularly who came out of the shadows with great music. The first release was from Leisure Muffin, one of my oldest friends and one of the first people I specifically asked for music from. When I heard “In Wearable Hertz” I instantly knew I wanted it to be the first release, it was such a strong statement. Most of the releases are rooted in techno as that is a big part of the sound of the party, but it’s never been about a very specific sound or genre necessarily. It’s been interesting and delightful to hear what my community has come up with. We’ll continue on this path with all the releases planned this year, some of which you’ll hear in this mix. 5. The Bunker made its imprint on the club scene from its debut by playing breaks, acid, punky synth-wave, UK garage and more alongside electronics to build a name recognisable worldwide. Are you signing artists who would adapt to and fit into the sound of your parties or you are allowing new producers releasing on the label to influence the music played at the events? I don’t think any of that is really conscious but of course it’s happening. The artists are inspired by the party, and then the sound of the party can be influenced by what the artists come up with. 6. We now live in an online age or more like a-post-online-community-age. When you started out it was quite different – please explain what were the key factors sustaining and growing your loyal fan-base and have you found a way to enjoy the shameless exposure of the “underground culture’’ now? We were actually very early adopters of using the internet to promote the party. I had built up a popular weekly email newsletter long before The Bunker existed to promote all of the interesting electronic music events in NYC, which became a natural way to let people know about The Bunker early on. We used to collect email addresses on a clipboard at the actual events back in the day. We also used to do a lot of flyers and posters in record stores back then too. I think with the introduction of social media and websites like Resident Advisor it’s become easier than ever to spread the word about parties and of course that has benefited us in a way and made the whole culture a lot more visible and easier to gain entry into. 7. The year 2018 was the busiest for the label with podcasts, live broadcasts, world tour, new party locations, multiple outstanding releases (such as Marco Shuttle’s The Moon Chant EP) and adding new names like Abby Echiverri and LDY OSC to the roster. In 2019, are you planning to expand as rapidly in all these directions or you want to focus on something niche? Yeah it really feels like every year has been busier than the year before. 2018 was particularly busy as we were celebrating 15 years of The Bunker. We started the year with a very well received 15 Years of The Bunker compilation with tracks from almost all of our label artists, and did 15 Year parties around the world. In 2019, we’re welcoming Lauren Flax and Love Letters to the label this year, and maybe even one more artist who has not released yet. 8. We could definitely speak of a Bunker Era – please do share an extraordinary moment from the label growth that made you happy and proud of what you do and what are you wishing for in the bright, bold future? I think the 15 Years of The Bunker compilation mentioned above was my proudest moment with the label. 26 artists submitted tracks and often compilations aren’t very cohesive but I was so thrilled with how it all sounded together. Leisure Muffin and I made a mix that included all of the tracks and were kind of amazed at how well it all worked. I really just hope that I can sustain The Bunker and keep doing what I’m doing for as long as possible. It’s been my life’s work so far. 9. And finally thank you for recording this mix for us. Could you please share some insights about the selections and what was the initial mood or vision you wanted to convey for our listeners? Well I wanted to use all tracks from The Bunker New York since this feature is about the label, so that was a good starting point. There are some not yet released goodies in there from Lauren Flax, Wata Igarashi, Gunnar Haslam, and Love Letters. I just wanted to present some favorites from the catalog and let the music breathe and speak for itself.